We all knew it would happen sooner or later but perhaps what is a surprise is the method Cameron is attempting to use and the speed in which the story developed. If the information being leaked to the media is to be believed it was looking increasingly unlikely that Cameron would get what the Countryside Alliance were aggressively lobbying for through the house. A total repeal of the Hunting Act was looking like it may be in serious trouble as MP’s from all sides were distancing themselves from something which obviously had so little support from the general voting public. However Cameron, in an effort to push through with his manifesto promise has chosen a somewhat unscrupulous method of watering down the current legislation without risking a potentially damaging free vote on a repeal. The solution for him involves amending the Hunting Act by statutory instrument. This would allow hunting for pest control purposes, using an unlimited amount of dogs to flush a fox to waiting guns. Of course calling the fox a pest in the first place is up for debate, most with any understanding of wildlife and ecology will know the fox has an important part to play in the food chain and can in fact be hugely beneficial to farmers by naturally controlling the numbers of rodents and rabbits that chomp their way through millions of pounds worth of crops each year and quite frankly if you can’t protect your livestock from a small wild dog then perhaps you really shouldn’t have the responsibility in the first place. Of course it’s been proven beyond doubt that hunting with hounds is an inefficient way of killing any animal, this is nothing more than a back door approach to appease his sponsors at the CA and save face by avoiding an embarrassing commons defeat. How these changes would affect how the hunts operate would in fact be minimal in real terms but would muddy the waters enough to make prosecution even harder than it is already. Regardless of the number of hounds allowed once flushed the fox would have to be shot. Any continued chase by the hounds would then be in contravention of the law and this is the crux of the matter. The whole point in fox hunting is the protracted chase and the kill. This is where the hunters get their kicks, the “thrill of the chase”. It would also mean the hunts would have to employ a number of gun license holders who would have to be in a suitable position to kill the animal once it bolted which, when you consider the fluid nature of hunting, would prove to be totally impractical.This whole situation also has the makings of a complete disaster. 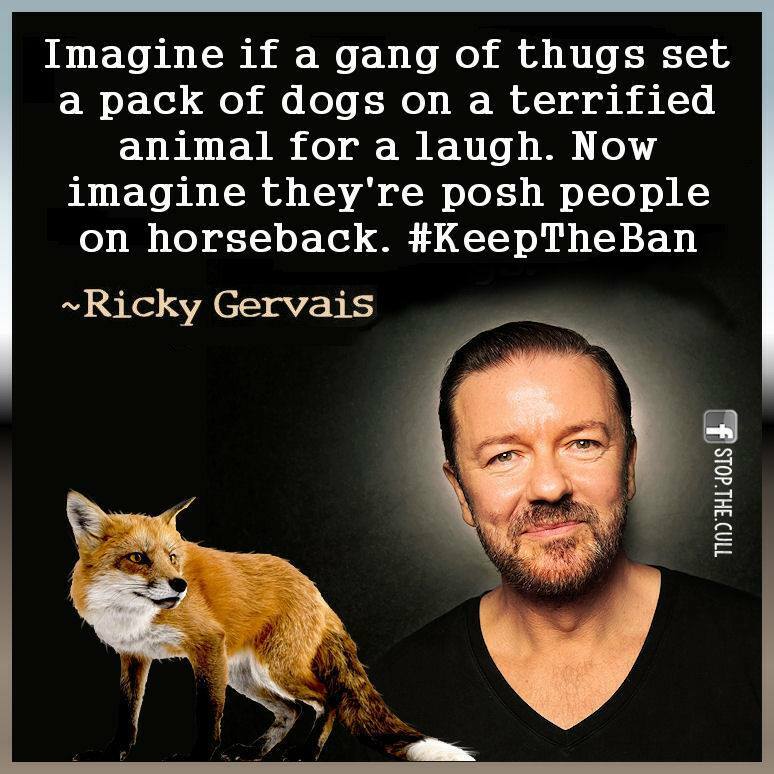 Most shotgun license holders probably couldn’t hit a barn door with a banjo let alone a fast moving fox, throw into the mix 30 or so hounds in hot pursuit and a bunch of sabs hell bent on preventing any killing and it doesn’t take a genius to work out what could happen next. The boys in blue would also be getting increasingly twitchy with all those firearms knocking about, especially considering how easily the hunts and their lackeys like to get violent when someone interferes with their idea of fun. It’s somewhat odd then that such a staunch supporter of fox hunting, our old friend Owen Paterson supports such a weakening of the act. He’s on record as stating that shooting foxes is not a good way of controlling them as often the shooters aren’t good shots and many will die from their injuries over a period of time (although that didn’t seem to bother him when it came to badgers). We can only surmise that he must now be doing the fastest U turn ever in an effort to support Cameron who now seems think it’s safe and humane. Of course that’s neither here nor there as it has nothing to do with animal welfare in the first place. The whole issue has an overwhelming political stink about it. 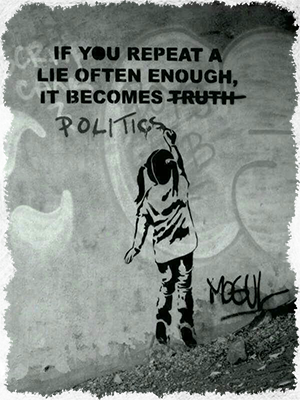 Bury the issue behind the first Tory budget and go in by the back door and hope no-one notices. If ever you had any doubts about the integrity of the Government and Cameron in particular then this issue should answer everything you needed to know. Write to your MP regardless of their stance on the matter. Find out yours here. UPDATE: Having now had chance to read and digest the amendments to the act it would seem things could be more serious than I previously perceived. If this gets approved it would in effect make the act utterly pointless and give a free reign to those who like killing things for pleasure with little no risk of prosecution. Please contact your MP, contact the SNP and encourage them to get involved and if you can get down to Westminster next Wednesday and make your feelings known in person.